Australia’s Kidman Resources and joint venture partner, Sociedad Química y Minera de Chile (SQM), plan to build a new lithium refinery at Kwinana in Western Australia. 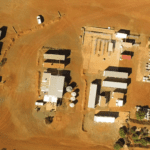 The 50:50 joint venture, known as Western Australia Lithium, today signed an agreement to enter into an option to lease the selected site near Perth. It is expected the refinery will produce about 40,000t per annum of lithium carbonate, as well as lithium hydroxide from the minerals processed at the JV’s proposed mine and concentrator at Mt Holland near Southern Cross. Almost 400 jobs will potentially be created during the construction of the refinery, which is expected to start in mid-2019. The JV’s lithium mine and concentrator is expected to create around 300 jobs during construction and 150 jobs during the operational phase. WA Mines Minister Bill Johnston said the announcement cemented the state as an investment destination for downstream lithium processing. 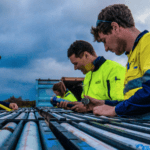 “Our reserves of lithium, nickel, cobalt and other metals, required for new energy technologies, combined with our technical skills and our close proximity to Asia, means WA is well-placed to capitalise on the growing battery market,” Johnston said. The WA Government also announced today that its State Budget would include provisional funding of $5.5 million to the Minerals Research Institute of Western Australia (MRIWA), to support development and manufacturing of technology metals and renewable energy sources.